The core of the jury panel comprises of repeat winners of national and international design and branding awards, creative directors of studios developing packaging for leading brands, and authors of cases that impressed the market or have become classics. This year, the jury also includes experts of renowned agencies from the UK, Croatia, and Estonia. Creative Director Identica. Sam’s experience covers many sectors and disciplines. She is particularly skilled at translating a core brand idea into a visual language and applying it effectively across multiple executions through the customer journey, something she describes as 360 degree branding. 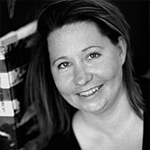 Sam has a strong track record in international brand communications, having previously worked for Landor, Interbrand and Fitch before joining Identica in 2010. Sam currently directs and leads the creative team at Identica with a vision and determination to ensure everything Identica creates challenges the convention, has significance and iconic influence. 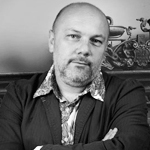 Nikola Žinić is the Creative Director in Bruketa&Žinić OM advertising agency that he co-founded with Davor Bruketa in 1995. 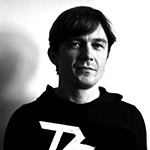 He was born in Zagreb in 1968 and studied Design at The Faculty of Architecture at Zagreb University. 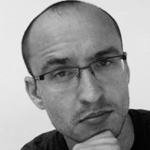 All of his professional achievements are related to the agency Bruketa&Žinić OM, where he has worked on numerous projects as a team leader or part of a team. 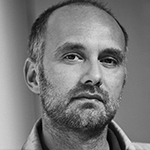 Art Director, partner at Brand Manual, founding member of Art Directors Club of Estonia, member of Design Excellence Estonia and Service Design Network (Cologne). He taught specialized courses at University of Tartu, Marketing Institute in Tallinn, Estonian Academy of Arts, and British Higher School of Art and Design in Moscow. 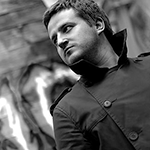 Designer, Art Director, partner at 495Design and AndreyevCom. 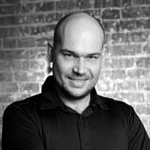 2004-2006 – Art Director at DepotWPF Brand&Identity, since 2010 – Professor of Package Design module at British Higher School of Art and Design. 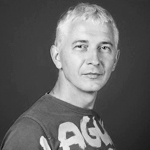 Jury member at festivals: Idea!, Moscow International Advertising and Marketing Festival, Kyiv International Advertising Festival, White Square. Creative Director at Getbrand branding agency. Member of Russian Branding Companies Association. Art Director at DIRECT DESIGN Visual Branding (Packaging Department). Since 1999, he has been engaged in packaging design and corporate identity development for Russian and international corporate and consumer brands. He has a successful track record as a leading designer and art director for major branding agencies: Soldis, Mildberry, Max Brandson. Since 2009 — Packaging Department Head at DDVB. Creative Director at IKON BC Russian office. Co-Supervisor for the Design Management course at British Higher School of Art and Design, Co-Professor at Parsons School for Design School of Design Strategies, Training Program Supervisor at LAC.Project design school. 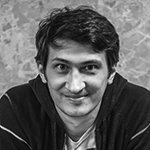 Jury member at Honest Advertising Festival 2012, member of Sostav.ru Year in Review expert board. Creative Director at Depot WPF Branding agency. Member of the Russian Academy of Advertising. Creative Director at STUDIOIN branding studio, a multiple design award winner.